Just like a woman can make a man fall in love with her by cooking him good meals, Germany is putting all its exquisite traditional and regional food and drink on the table to lure visitors. Ray Bugeja had a good taste of it. 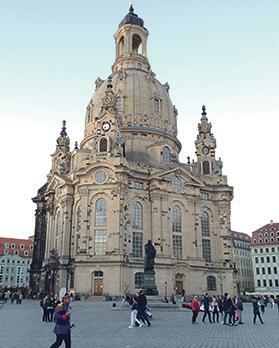 The baroque church of Our Lady on Dresden’s main square is so majestic few would imagine what is has been through, as indeed the city it adorns. Until a mere 24 years ago, it was just a heap of rubble, what remained when the 18th century Protestant church collapsed on the morning of February 15, 1945 after the Allied bombing two days earlier. ‘Operation Thunderclap’, still considered ‘controversial’ to this very day, killed about 25,000 people – though some insist the death toll was much higher – and practically flattened the city centre. The temple – Frauenkirche – was not destroyed by the bombing itself but by the immense heat that ensued. For almost half a century, its ruins remained a sad reminder of the cruelty of war and the extreme decisions man can make. A unique rebuilding project started in 1994 and, thanks to €100 million collected from all over Germany and beyond, the job was completed in 2005. Dresden is bidding to become the European Capital of Culture in 2025. Its baroque and rococo city centre has won it the appellation of ‘Jewel Box’ and, before World War II, it was also referred to as the ‘Florence on the Elbe’. There can, therefore, be little doubt about its qualifications. 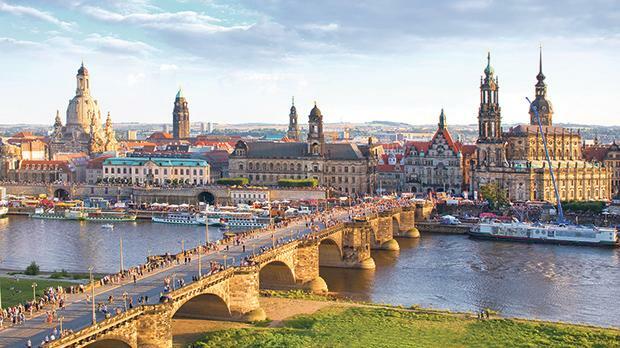 Located in the Elbe Valley, close to the border with the Czech Republic, Dresden is the capital of Saxony and the second largest city in the region after Leipzig. Interestingly, the Dresden Elbe Valley was placed on the Unesco list of endangered World Heritage sites in 2006 but was removed three years later when a highway bridge was built two kilometres from the historic city centre. Unesco argued the structure would destroy the cultural landscape. But the inhabitants felt that the free flow of traffic should take precedence. This seems to support the local tourism authorities’ slogan that “Everything about Dresden breathes history while, at the same time, staying young thanks to a vibrant present”. The Elbe Valley forms part of Saxony Elbeland, one of the most northerly wine-growing areas in Europe but it also attracts porcelain lovers from all over the world, Meissen being the home of what many call “white gold”. Meissen porcelain started in the beginning of the 18th century and became one of the top brand successes in the world. As to wine, well, vintners will keep insisting that small is beautiful. Land under wine in the region is not impressive but growers are immensely proud of their produce. Further north, not far from the city of Hannover, farmers flaunt another agricultural product, especially at this time of the year: asparagus. 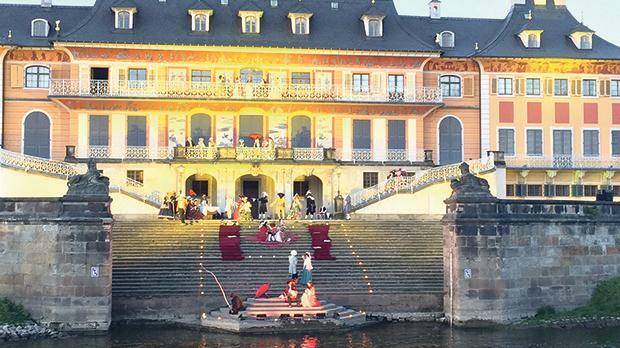 An old palace in Dresden comes to life. On the outskirts of Nienburg, located between Bremen and Hannover, a group of people, armed with a long thin, forked-shape blade and what looks like a metal float, or laying trowel, are engaged in the back-breaking task of picking the produce. 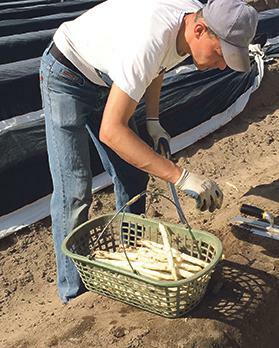 They walk along soft soil dams, or mounds, first using their hands to remove the top soil when spotting the white ‘crown’ of the asparagus and then pushing the long blade down to cut the asparagus above the root, using the laying trowel to put the soil back in place so the process can be repeated the following season. Fritz Bormann, the owner, looks with pride and, later at his farm, explains the cleaning process. The freshly-cut crops are first washed, then cut to more or less the same size and, finally, placed in four boxes: the best, the good, the ordinary and the ugly, which are usually fed to animals. The first three types fetch different prices, of course, but, smiling and winking, a guide who knows a thing or two about asparagus insists that only the shape is different not the taste. There is also the green asparagus, which is far easier to cultivate and harvest because they grow flat and emerge right out of the soil, just needing to be picked. Still strenuous work, of course, but not as hard as harvesting the white variety. 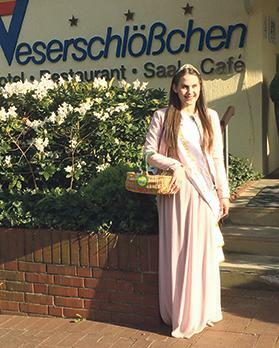 During the season, between April and June, asparagus is the talk of the town and Nienburg even crowns the Asparagus Queen. You can get asparagus with practically every dish, including dessert. So German cuisine is not just about sausages, sauerkraut, pretzel and beer. There is a very good and wide choice of haute cuisine (from about 300 Michelin-star restaurants across the country) and mouth-watering regional food. And if you decide to go for German wine, there is a good selection from 13 wine regions. A four-hour-long drive southeast of Nienburg to the quiet town of Freyburg, you can meet more ‘royalty’, this time the Queen of Wine. The white Riesling may be Germany’s best and most popular wine but the varieties on offer are many and include sparkling wines too – “fantasy in a thousand bubbles”. 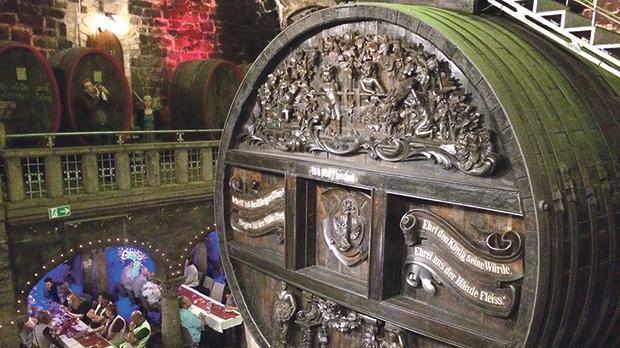 If you want to have a pretty good idea of the wines on offer, time your visit to coincide with the traditional Rotkäppchen tasting session in Freyburg, on the river Unstrut. At the annual Jungweinprobe the wines harvested the previous seasons are all available for tasting. A good 300 different varieties will be on the table. There you will also realise that the inhabitants love the fruit of their land. They know how to enjoy life to the full. 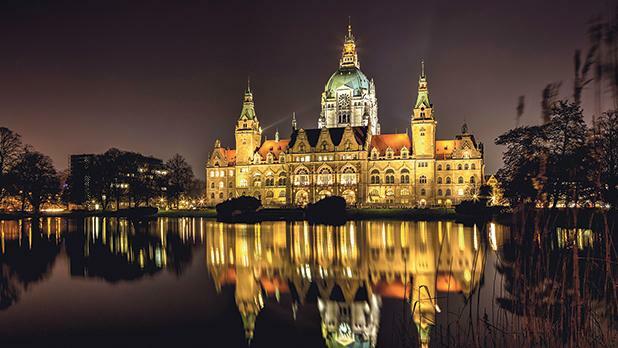 Take Hannover, where a good chunk of its population of 550,000 will congregate on the banks of an artificial lake, just two metres deep but six kilometres long, on warm and dry days, partying and enjoying themselves. Food is an essential ingredient in the tourist offer and visitors can take the culinary tour that includes six restaurant ‘stops’, each outlet putting on the table a sample of their best dishes. 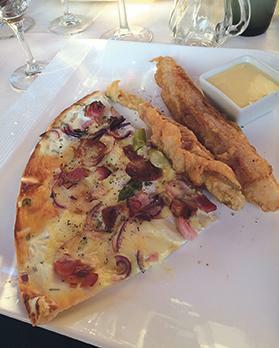 One popular dish is the so-called Chancellor Platter, only because it was Gerhard Schröder’s favourite food. It basically consists of pork, usually in the form of a sausage, and French fries with tomato ketchup, a ‘diet’ that fits in with Mr Schröder’s humble childhood. For a good cup of coffee, pastry and some snacks, Anna Leine’s coffee shop is certainly among the best around. It is also a privately-funded social initiative aimed at offering ‘normal’ jobs to people with physical disabilities. The Hannoversche Kaffee Manufaktur, near the main train station, has a wide selection of some of the best coffee beans from all around the world. This includes the world’s most expensive Kopi Luwak coffee. Knowing its origins may put you off because the beans are picked by farmers after they are digested and defecated by an Indonesian cat-like animal called the palm civet. One of the staff members there had a word of friendly advice: unless you are really into coffee do not bother for it will taste like any other. Go to the Brauhaus Ernst August and ask for a Lüttje lage, or little lager served with schnapps. They come in two little glasses. You have to hold the glasses in one hand, one behind the other, and drink both simultaneously. It may sound more difficult than it really is. To end the day in style – though lunch would be a very good option too – have dinner at the Reimanns Eck. There you can sample some regional bread with fresh ground pork, onions, cucumber and tomato and, then, the Fifty Fifty, a roulade filled with half cabbage and half beef. There are many ways to travel across Germany. The culinary trail offers food for thought when planning the itinerary.